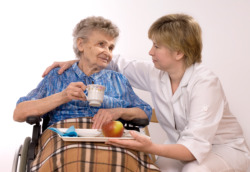 If your loved one could use an extra pair of hands at home, call Abundant Living Care and request for services. We can help with health management, mobility and a range of activities of daily living especially with medication reminders. Our services are easily within reach for clients living in Mequon, Wisconsin and the surrounding areas. Feel free to call us at 262-834-6212 to request for services. With flexible schedules, we can provide you with care 24/7 or on an as needed basis.